There’s a good chance that the colors and suit symbol associations will be changed to be pretty much what was discussed as option 4 in part 1. (Go here to take a look.) I am thinking that I will keep the Sun symbol for orange, but I could use a star symbol instead. 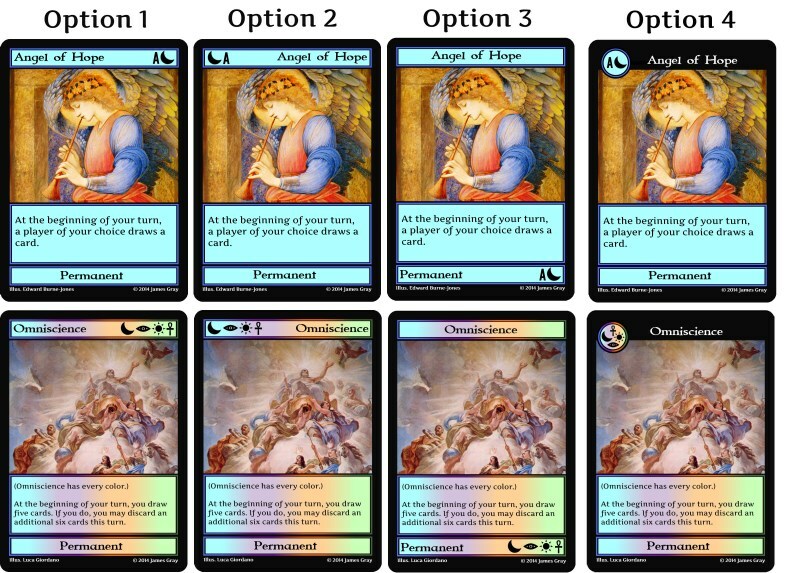 Now I have four more ideas for changing the layout and look of the cards that I am considering. Take a look, and let me know what you think. This entry was posted in crazier eights and tagged card frame, layout, look. Bookmark the permalink. That is the consensus so far, so there’s a good chance I will use it.